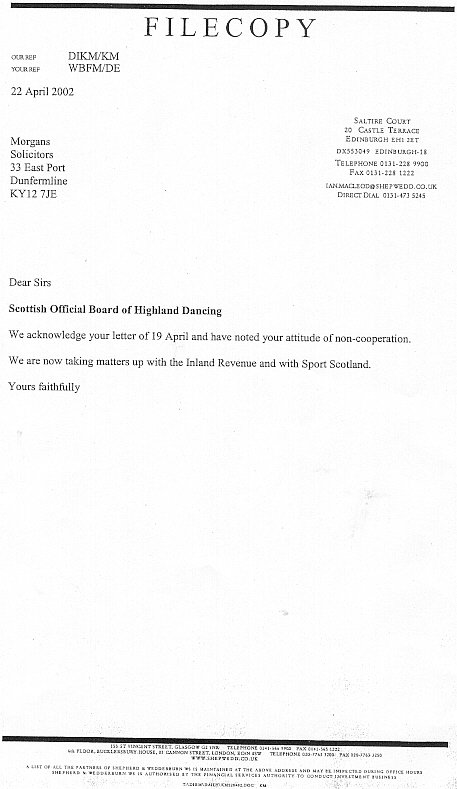 I have as most know, for many months been trying to make the "powers that be" in the world of Highland Dancing aware of some , in my opinion, serious matters that as members of Boards they should be looking into. It has been brought to my attention on more than one occasion that what I have been saying is in fact to quote "it is a pack of lies" I am "doctoring" the items….."the attorney isn't a legitimate attorney" "it is all so much hot air" " we have no signatures"
In all of this my own personal credibility has been questionedsomething I don't take kindly to I can assure you. 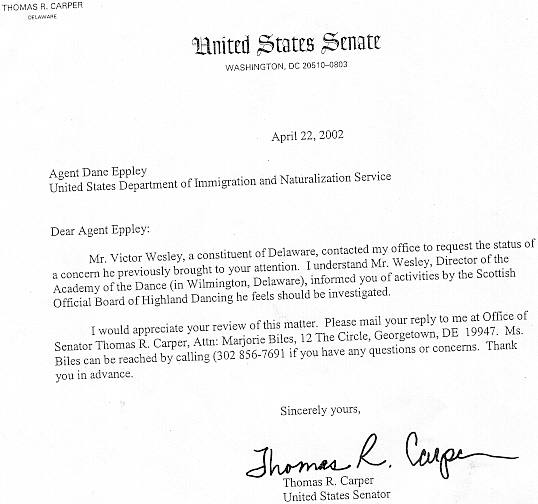 I have for the benefit of those interested scanned letters which HAVE SIGNATURES and addresses and can be verified through those correspondents for those of you who are "Doubting Thomas" as to whether this is again "so much hot air!!! 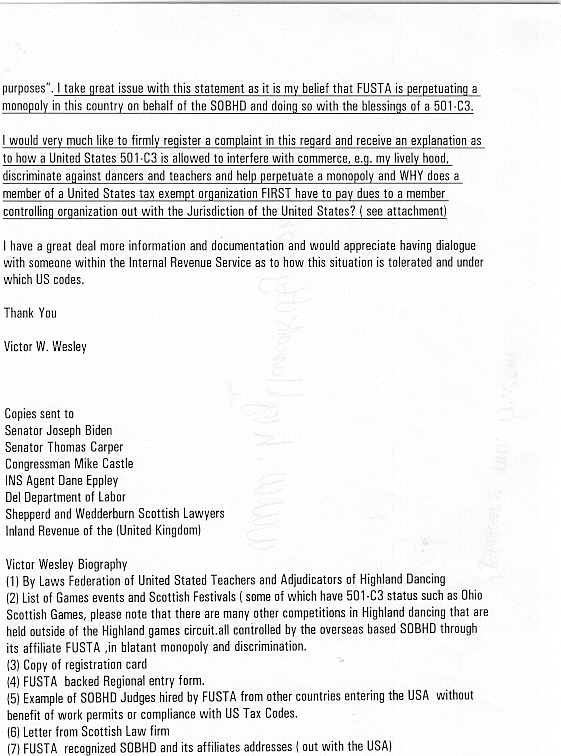 I have also scanned the last page of Mr. Wesley's complaint and to whom the copies were sent to and the list of documentation enclosed in that complaint. Also I have scanned the 1st letter from the SOBHD attorney which set the tone and the final letter from the complainants attorney . 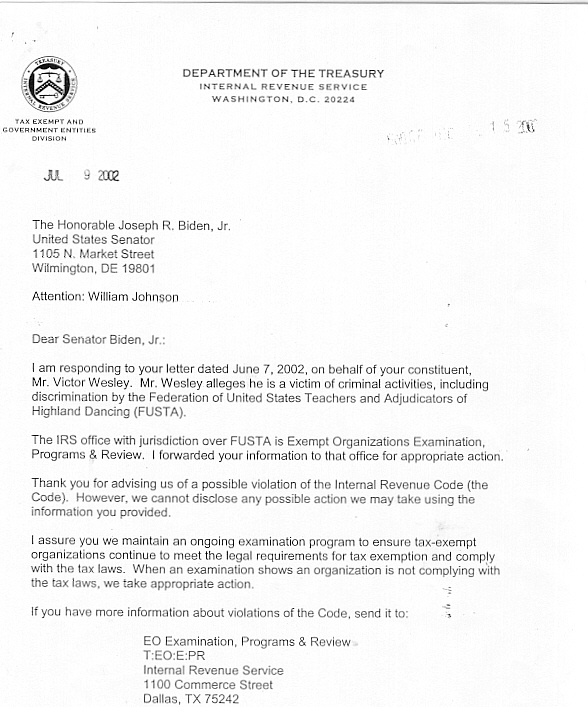 FUSTA and the complaint through the USA governmental agencies was a direct result of the "tone" . 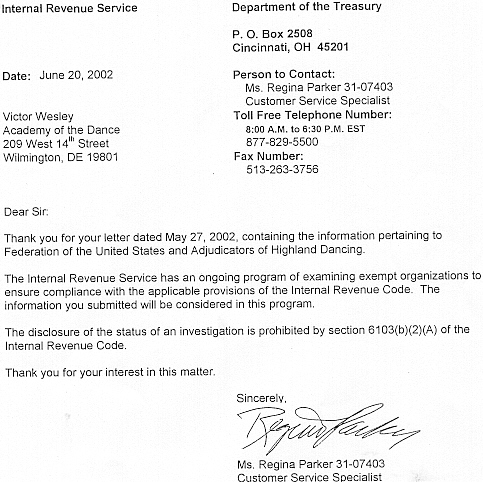 This then precipitated the complainant Mr. Wesley sending a registered complaint against FUSTA with documentation as described in Page three of his complaint. THE REASON I HAVE SHARED ( WITH PERMISSION )THESE ITEMS IS I AM QUITE FRANKLY TIRED OF HAVING MY CREDIBILITY QUESTIONED .Hopefully the people who say that there is no such ongoing investigation etc. will contact those in the above letters and they will confirm to their satisfaction. 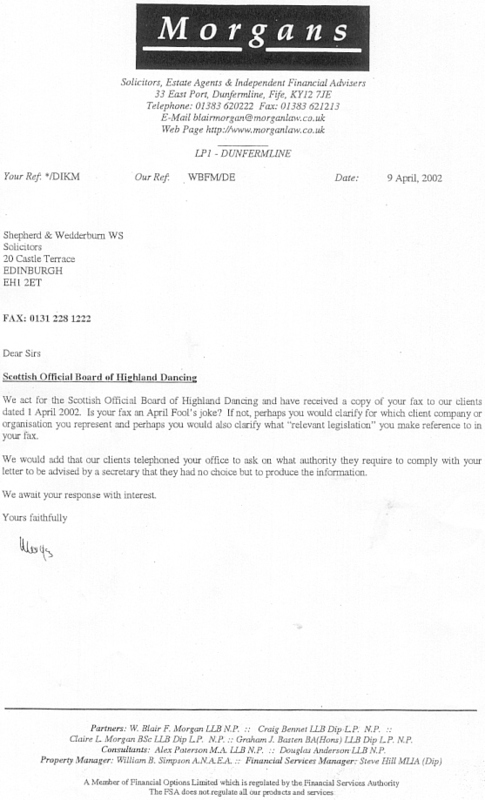 Whether FUSTA or the SOBHD have done anything untoward is up to those agencies to discover I make no judgements but there is and has been a complaint and there has been a question raised as to my credibility which I find offensive.